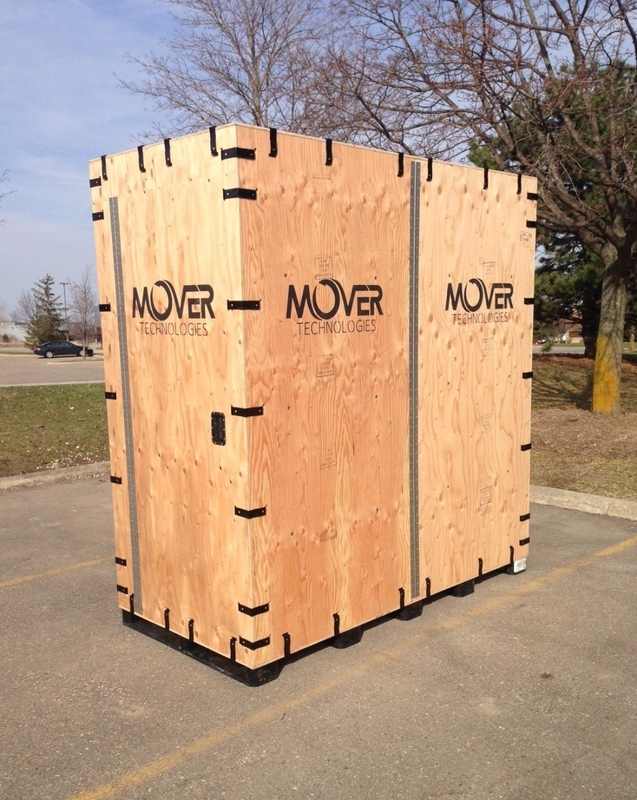 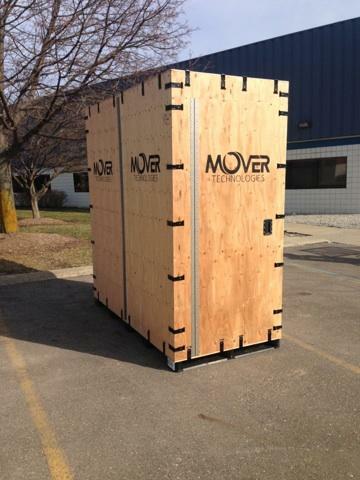 Learn about the portable storage container developed by Mover Technologies to easily transport household goods! 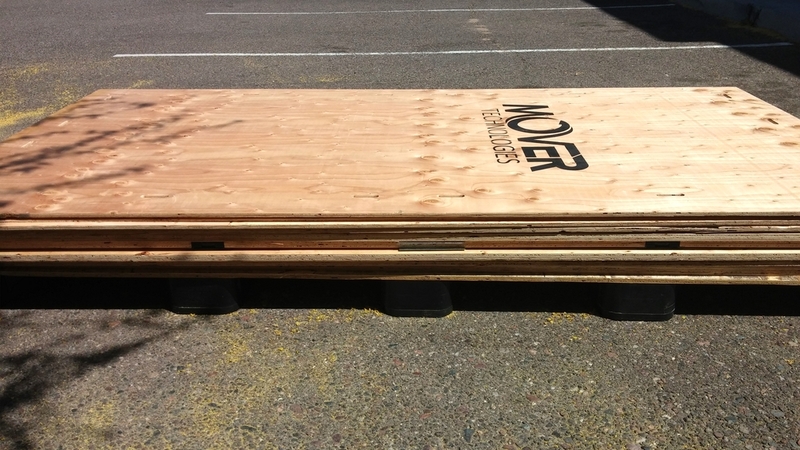 Built on pallet risers - easy to load! 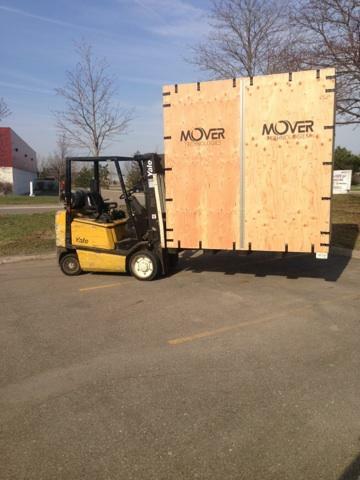 GPS Tracking in the pallet - track every shipment! 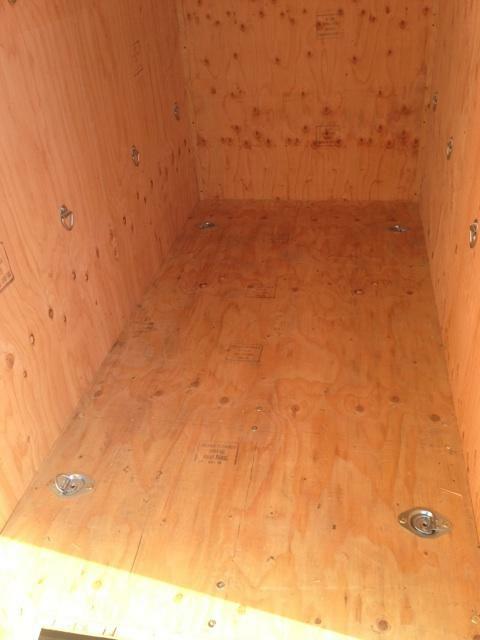 Wooden container uses heavy duty twist latches, tie-down rings, and slice plates. 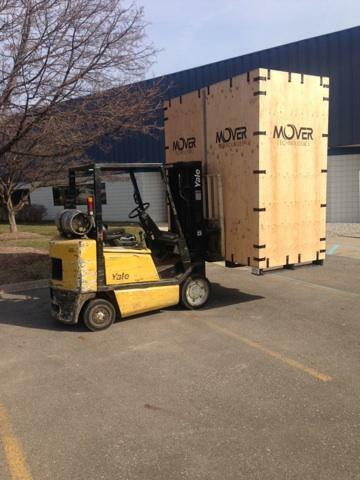 Rides gently on blanket-wrapped air-ride trucks! 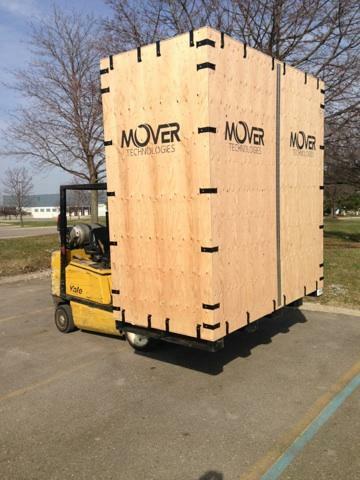 The portable storage container has a built-in door for easy loading!